Plentiful sunshine. High 88F. Winds NNE at 5 to 10 mph..
A few clouds. Low 62F. Winds SSE at 5 to 10 mph. 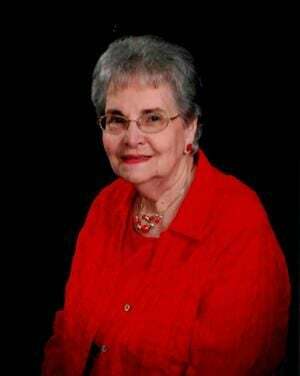 Jan Langston, 83, of Bay City, TX passed away December 22, 2018. She was born July 4, 1935 in Palestine, TX to the late James William Lemuel Adams and Mary Ellen Green Adams. Survivors include her husband, O. D. Langston of Bay City; daughters, Donna Suzanne Langston of Bay City, Mitzi Jan Langston of Waxahachie, TX and Mary Ellen Langston of Lindale, TX; brother, Rev. James W. L. Adams II of College Station; grandchildren, Tonya Rebecca Thompson Wilemon, Heston Doyle McSpadden, Jonathan Joseph Schroeder and Amy Arrianna Megan Garcia; and great grandchildren, Colt Wesson Wilemon, Maebry Jo Wilemon and Ila Jewel Grace-Lynn Jones. Funeral services will be held at 2 p.m. Thursday, December 27, 2018 at the First Baptist Church with Dr. Mike Zimmerman officiating. Interment will be at 2 p.m. Friday, December 28, 2018 at Fields Chapel Cemetery in Palestine, TX. Arrangements are with Taylor Bros. Funeral Home, Bay City, TX; 979-245-4613.